Mike has been a Brooklyn resident since 1990. 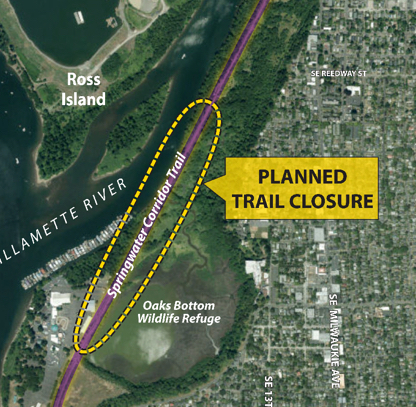 PROJECT UPDATE, 6/27 – The Springwater Corridor will close on Monday, July 9. Construction activities will begin, but the project team and the contractor worked to ensure that the trail can remain open for the busy July Fourth holiday and the Waterfront Blues Festival weekend. The temporary closure will continue as planned through October 31. Due to the calendar (Valentine’s Day) and schedule of our board members, we are moving our board meeting to this Wednesday (Feb 7). Same time, same place. Hope to see you there. Brooklyn Prepared! sessions ready to start – sign up now! In the event of a major disaster, neighbors helping neighbors will be how we survive until help comes from the outside. Recent media reports have documented how, after a major earthquake, this could take up to two weeks, so we all need to plan how to keep ourselves and our loved ones safe. The Brooklyn Action Corps program designed to prepare Brooklyn block by block is now underway! From now through December 2016, BAC is offering a series of two 90-minute discussion sessions led by trained presenters, to help you and your neighbors get ready together for earthquakes and other disasters. You can help by volunteering to host your block – or your apartment building, or floor. Don’t have space? Persuade a friendly neighbor to host and help them by organizing the meetings. To volunteer, email ready@brooklyn-neighborhood.org with your address, phone number and which month you would like to host. Then we will contact you with hosting information and neighbor invitations, and schedule a presenter for your block. The first session will help you think about all the “What ifs” and plan with your household for any emergency. The second session addresses gathering supplies needed to “Go” or “Stay” where you are, in the event of disaster. You and your neighbors will also learn how to plan to help each other effectively after a disaster, and to keep maintaining and improving your block’s preparedness. In the end you will have a plan and be ready for anything! Trash or Treasure? It’s time to clean house! Getting to the nearest donation drop-off site, or better yet, the dump, is something that few of us find time to do. Bulky items like old vacuum cleaners, furniture, scrap wood and empty paint cans take up valuable space in our garages and in our homes. Not only will you feel great about clearing out unwanted stuff, you’ll feel good about the contribution you make to your Brooklyn neighborhood! Where? 16th & SE Center Mixed Waste: $10-$15 for small pick up loads $20-25 for large loads Yard Debris: $10 (more for large loads) Each vehicle will be quoted a price before unloading. Volunteers are needed, please call the Brooklyn Help Line now and reserve your time. The all-volunteer Southeast Portland Tool Library (SEPTL) invites DIY enthusiasts to an open house on Saturday, January 16, 11am ­ 4pm, at its new location in Hinson Baptist Church, SE Salmon and SE 20th Ave. The event also celebrates SEPTL’s fifth anniversary serving the community. With this move SEPTL has doubled its floor space, added parking, and streamlined operations to better serve its growing membership of more than 5,000 homeowners and renters. Visit www.septl.org for hours of operation, a real­time searchable database of more than 1,200 available tools, and upcoming workshops. SEPTL’s mission is supported by many generous organizations including Hinson Baptist Church, St David of Wales Episcopal Church, Division Hardware & Paint, Southeast Uplift, PDX Time Bank, Mr Plywood, Your Concrete Guy, Hankins Hardware, Kitchen Share Southeast, and the Buckman Community Association. Sincere and special thanks are due to all the volunteers whose countless hours and tremendous talents keep SEPTL open. The SE Portland Tool Library SEPTL is a community resource run by volunteers who provide residents of southeast Portland with tools to perform home repairs, tend their yards and gardens, maintain their bikes, build furniture, and take on many other projects – while meeting and sharing knowledge with neighbors. This will be troop 351’s, 35th year selling Christmas trees and wreaths. 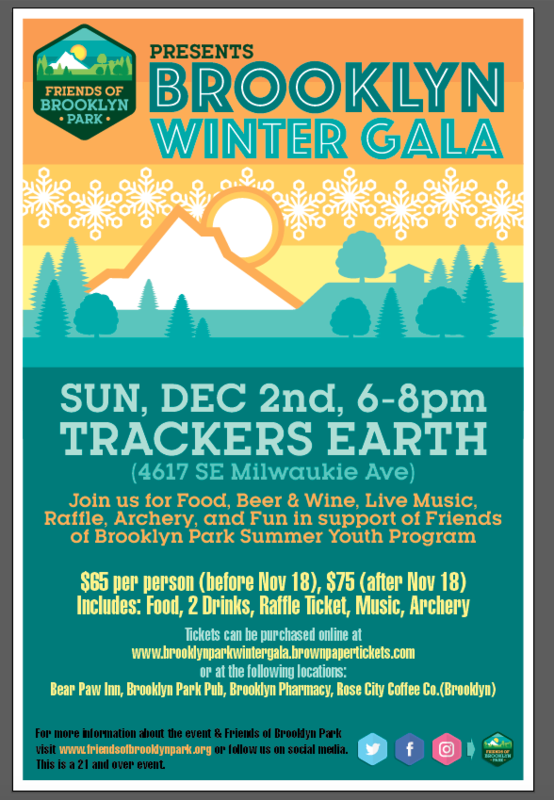 The non-profit sale funds the Boy Scouts and Venture Crew’s summer camps and activities for the entire year. The sale is run by the volunteer boys, girls and parents. Our trees have been hand-picked from local growers and are delivered weekly, we also offer a limited number of SERF-certified trees (grown on sustainable farms). Now taking Visa and Mastercard for you convenience. The Troop 351 Boy Scout Christmas Tree Lot is located at the SW corner of St. Ignatius parking lot at 3400 Se 43rd Ave., Portland. Dear Supporter of Know Thy Food (friend, member,vendor, neighbor)– During the last 5 years, KTF has offered 306 consecutive weekly Order Cycles online letting you shop for healthy, organic, farm-direct foods and other products online at discounted prices. This week, week 307, it all came to a halt. The chickens are still laying eggs, the cows are still giving milk, the farmers are still harvesting vegetables, and the bakers are still baking bread. But we cannot bring their products to your table. Joining the BAC executive board is a great way to have an impact on your neighborhood, work with a devoted group of activists, and have fun! The BAC executive board is open to individuals who work, live, or own a business in the neighborhood and attend two of four consecutive BAC board meetings. There are currently four open positions on our 11-member board, and elections are on May 27. If you qualify and would like to join, let us know by emailing board@brooklyn-neighborhood.org or calling the help line at (503) 241-4540. Come get involved and help us improve, beautify, and enrich our neighborhood.